Anti-Lebanon Mountains: Ma'loula, Al-Sarkha (Bakhah) and Jubb'adin. Western Neo-Aramaic is a modern Aramaic language. Today, it is spoken in three villages in the Anti-Lebanon Mountains of western Syria. Western Neo-Aramaic is the only living language among the Western Aramaic languages. All other Neo-Aramaic languages are of the Eastern Aramaic branch. Western Neo-Aramaic is probably the last surviving remnant of a Western Middle Aramaic dialect which was spoken throughout the Orontes River Valley area and into the Anti-Lebanon Mountains in the 6th century. It now is spoken solely by the villagers of Ma'loula, Jubb'adin and Bakh'a, about 60 kilometres (37 mi) northeast of Damascus. The continuation of this little cluster of Aramaic in a sea of Arabic is partly due to the relative isolation of the villages and their close-knit Christian communities. Following the Muslim conquest of the Levant, there was a linguistic shift to Arabic for local Muslims and later for remaining Christians; Arabic displaced various Aramaic languages, including Western Aramaic varieties, as the first language of the majority. Despite this, Western Aramaic appears to have survived for a relatively long time at least in some villages in mountainous areas of Lebanon and the Anti-Lebanon (in modern Syria). In fact, up until the 17th century, travellers in the Lebanon still reported on several Aramaic-speaking villages. In the last three villages where the language still survives, the dialect of Bakh'a appears to be the most conservative. It has been less influenced by Arabic than the other dialects, and retains some vocabulary that is obsolete in other dialects. The dialect of Jubb'adin has changed the most. It is heavily influenced by Arabic, and has a more developed phonology. The dialect of Ma'lula is somewhere between the two, but is closer to that of Jubb'adin. Cross-linguistic influence between Aramaic and Arabic has been mutual, as Syrian Arabic itself (and Levantine Arabic in general) retains an Aramaic substratum. As in most of the Levant prior to the introduction of Islam in the seventh century, the villages were originally all Christian. However, Ma'loula is the only village that retains a sizeable Christian population (they mostly belong to the Melkite Greek Catholic Church) as most of the inhabitants of Bakh'a and Jubb Adin adopted Islam over the generations, and are now all Muslim. Ma'loula glows in the pale blue wash with which houses are painted every year in honour of Mary, mother of Jesus. All three remaining Western Neo-Aramaic dialects are facing critical endangerment as living languages. As with any village community in the 21st century, young residents are migrating into major cities like Damascus and Aleppo in search of better employment opportunities, thus forcing them into monolingual Arabic-speaking settings, in turn straining the opportunity to actively maintain Western Neo-Aramaic as a language of daily use. 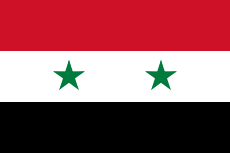 Nevertheless, the Syrian government provides support for teaching the language. Since 2007, Ma'loula has been home to an Aramaic institute established by the Damascus University that teaches courses to keep the language alive. The institute's activities were suspended in 2010 amidst fears that the square Aramaic alphabet used in the program too closely resembled the square script of the Hebrew alphabet; the program will instead use the more distinct Syriac alphabet. The phonology of Western Neo-Aramaic has developed quite differently from other Aramaic languages. The labial consonants of older Western Aramaic (/p~f/, /b~v/) have been retained in Bakh'a and Ma'loula. Under influence from Arabic, Jubb'adin has collapsed the series to /b/ and /f/. Amongst dental consonants, the fricatives /θ ð/ are retained while /d/ is lost, having become /ð/, and /t/ has become /ts/ in Bakh'a, and /tʃ/ in Ma'loula and Jubb'adin. However, [ti] is the usual form for the relative particle in these two villages, with a variant [tʃi], where Bakh'a always uses [tsi]. Among the velar consonants, the voiced pair of /ɡ ɣ/ has collapsed into /ɣ/. The unvoiced velar fricative, /x/, is retained, but its plosive complement /k/ has started to undergo palatalisation. In Bakh'a, the palatalisation is hardly apparent; in Ma'loula, it is more obvious, and often leads to [kʲ]; in Jubb'adin, it has become /tʃ/, and has thus merged phonemically with the original /t/. The original uvular plosive, /q/, has also moved forward in Western Neo-Aramaic. In Bakh'a it has become a strongly post-velar plosive, and in Ma'loula more lightly post-velar. In Jubb'adin, however, it has replaced the velar plosive, and become /k/. I am Aramean and my language is Aramaic. Ana Suray w-lishoni Suryon. We are Arameans and our language is Aramaic. Anah Suroy w-lishonah Suryon. ↑ Hammarström, Harald; Forkel, Robert; Haspelmath, Martin; Bank, Sebastian, eds. (2016). "Western Neo-Aramaic". Glottolog 2.7. Jena: Max Planck Institute for the Science of Human History. ↑ Owens, Jonathan (2000). Arabic as a Minority Language. Walter de Gruyter. p. 347. ISBN 3-11-016578-3. ↑ Sabar, Ariel (18 February 2013). "How To Save A Dying Language". Ankawa. Retrieved 2 April 2013. ↑ Beach, Alastair (2010-04-02). "Easter Sunday: A Syrian bid to resurrect Aramaic, the language of Jesus Christ". Christian Science Monitor. Retrieved 2010-04-02. Arnold, Werner (1989f) Das Neuwestaramäische. 5 Volumes. Wiesbaden: Harrassowitz. Arnold, Werner (1990). New materials on Western Neo-Aramaic. In Wolfhart Heinrichs (ed. ), Studies in Neo-Aramaic, pp. 131–149. Atlanta, Georgia: Scholars Press. ISBN 1-55540-430-8. Tsereteli, Konstantin (1990). The velar spirant ġ in Modern East Aramaic dialects. In Wolfhart Heinrichs (ed. ), Studies in Neo-Aramaic, pp. 131–149. Atlanta, Georgia: Scholars Press. ISBN 1-55540-430-8. (German) Semitisches Tonarchiv: Dokumentgruppe "Aramäisch/Neuwestaramäisch" – recordings of Western Neo-Aramaic. The dialect of Ma’lula. Grammar, vocabulary and texts. (1897–1898) By Jean Parisot (in French): Parts 1, 2, 3 at the Internet Archive.